Starting a business is hard. Really hard. It’s a lot of work. Time. Energy. Love. Mostly love. Crunchy Boutique is the only shop of its kind in its area (Arlington & Fort Worth, TX). And it’s one of only THREE brick and mortar natural parenting stores in the entire United States that is Black-owned. This is the story of how they opened Crunchy Boutique, why they are unique, and why you need to check them out both in person and on their brand new website, crunchyboutique.net! I’m helping them host an amazing giveaway; make sure you read to the bottom! Crunchy Boutique is owned and operated by Keema Echols, Lauren Echols-Cain and Brandon Echols. Altogether, any one of 7 family members may be found at Crunchy Boutique helping out in some way at any time. Lauren is the inspiration for and the face of Crunchy Boutique. When Lauren found out that she was expecting in early 2016, she knew almost immediately that she wanted to travel the natural parenting path. At that time the most important things to Lauren and her husband, DeAndre, were to have a home water birth, cloth diaper and breastfeed. Lauren and DeAndre had baby August in November and started cloth diapering and breastfeeding immediately. It was apparent very early on that resources for natural parenting in the Arlington/Fort Worth area were non-existent. 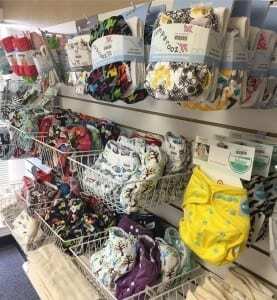 Lauren made several trips many miles away to purchase cloth diapers and for breastfeeding support. She made each trip with her mother, Keema, and each time they would talk about how ridiculous it was that they had to travel so far for such simple things. In February 2017, Lauren and Keema started discussing the idea of opening a natural parenting store in Arlington. The discussion quickly moved to planning. They found a location in April, solicited input from the local natural parenting community a few weeks later and had their grand opening in June. This is just a tiny look at a few of the amazing products they carry. Being the “new kids on the block” they are able to do new and different things to market and to introduce their store to the public. They decided NOT to look at what our competitors do or have done but rather to come up with their own fresh ideas to make shopping at Crunchy Boutique a fun experience. Much of their merchandise comes from local sources. They also look to social media for new and trendy products. Crunchy Boutique focuses most of their marketing attention on social media. They are constantly looking to develop new ways to engage and grow the natural parenting audience. 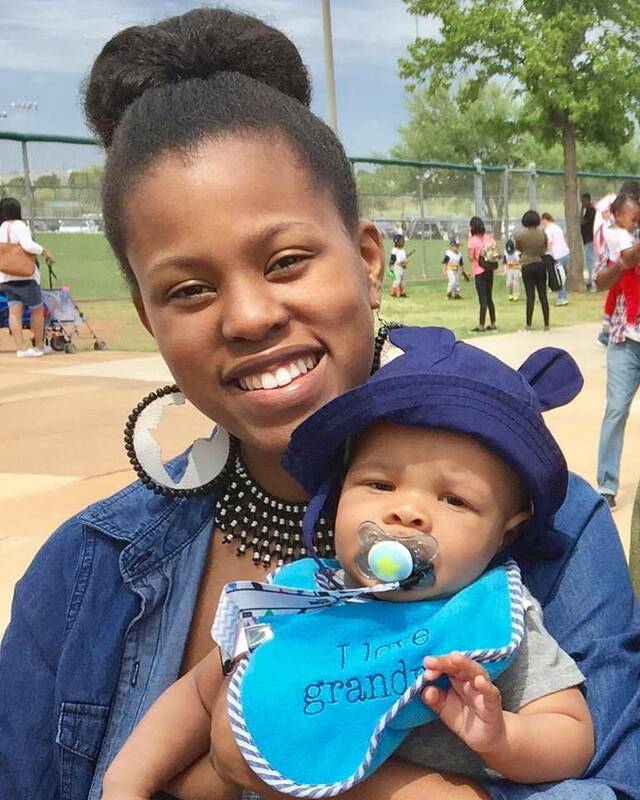 The Black community is not as widely represented in the natural parenting community. 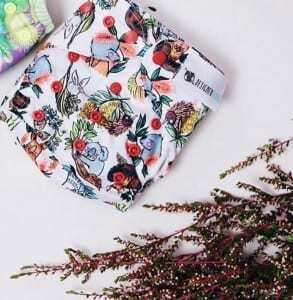 One of their goals is to introduce cloth diapering to a segment of society that has not been exposed to it yet. 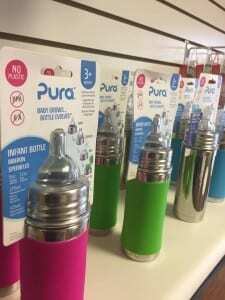 Not only do they offer natural parenting items such as cloth diapers, baby carriers, breastfeeding supplies, stainless steel and glass bottles but we also offer a wide variety of classes and support groups. A fun picture of some of the moms that attended a class! This is only the beginning for Crunchy Boutique and they are so thrilled at where this journey has lead them and where it will bring them in the future. If you are in their area on Friday, August 4th, stop by for their Global Big Latch On event. 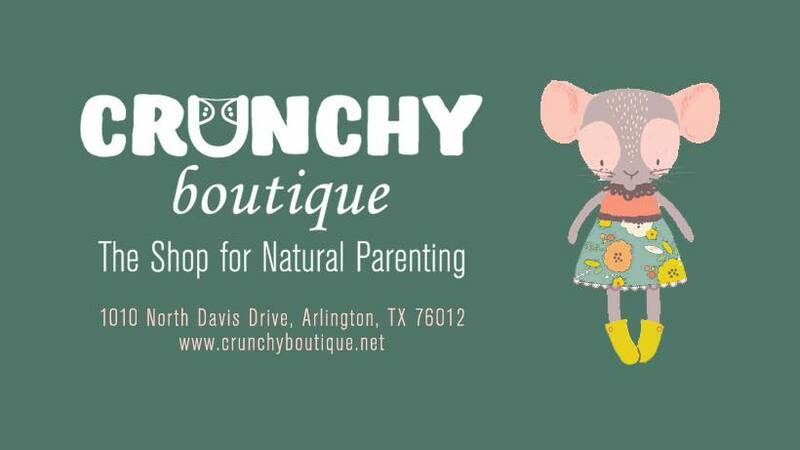 You can find Crunchy Boutique at 1010 N Davis Drive, Arlington, Texas 76012 or online at crunchyboutique.net! Make sure you also follow them on Facebook and Instagram! Get FREE shipping on online orders through the end of August with Promo Code ‘CRUNCHTIME’. Crunchy Boutique is giving away a HAPP Brand Oversized Diaper Bag, valued at $159! Thanks awesome , wish we had stuff like that here in Yarmouth Nova Scotia , thanks for sharing ! This is awesome! I’m so inspired by mamas who see a need and fill the void. Way to go! I hope all your dreams come true ?? What an awesome idea! I wish there were more easily accessible stores like theirs in my community! That’s amazing. I wish we had something like that in my town. Recently I’ve been trying to convince my husband that we need to move to Texas and this is just one more reason to go!! I am so absolutely happy to be able to support a Black owned natural parenting store!! I can’t wait to spend these coins there!! Wow! I can’t believe all of those awesome classes are offered there! That would be amazing in such a small town, such as u live in with limited resources! Amazing! I feel like most places need more natural minded stores. Sounds like an awesome adventure& legacy <3. I wish more things like this were available out in our area in the country as well! I love the story and totally relate since there are no stores near me like that either. 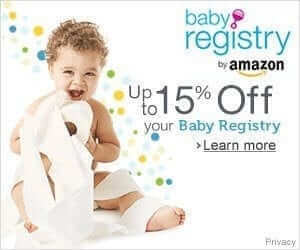 I have to do all of my diaper shopping online! Sounds like a great store to support the community. Thanks! Great story! I wish I had a store like yours in my area. Awesome story!! Thank you for sharing with us! What an amazing story. I wish there was a store near me. I love following them on Instagram! They have the best videos and pictures! And so many amazing classes! Great story. Amazing of you to share it!! Thanks for sharing your story. I can’t imagine starting my own business. I would be too scared of all the challenges. What a beautiful and inspiring momma! I’ll def pass the info on to my TX friends ??? I love learning the back story of how something came to be. And what an amazing back story it is! See a need, fill a need and you will go far! So amazing. Y’all inspire me deeply ? You are a great inspiration to follow! Best wishes for a successful business. Offering the classes is a nice plus to your store. Keep up the good work. Thanks for the chance to win the cool diaper bag. 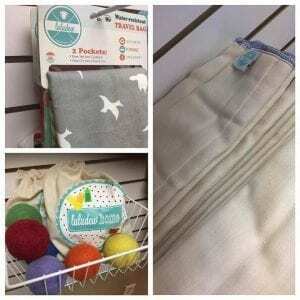 I love when baby boutiques offer classes as well as as having great products. I’m so glad to have them in my area! Looks like a great bag to hold everything! Wow! Just amazing! There is nothing like this in my area. I wish stores near me bad support groups and classes like this! That is amazing! Moms need a community and to support and help each other ! I wish I could have taken some while I was pregnant so i could have had a community postpartum and learn some information. Wish I were closer to come visit but I’ll spread the word! I wish you had a store in Michigan! I think it’s so great that you also offer so many classes/support for both moms and dads!! Good for you!! I wish we had a store like this in my area! Interesting blog. 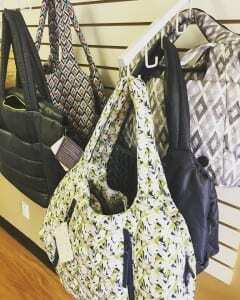 Would love the diaper bag. Amazing. I wish I had a store near me that was this great. How beautiful that this is more than just a business but providing education, support and resources to the community! The world needs more of this. Kudos to Crunchy Boutique!! This is defiantly a sight that I will be sharing with my friends! I love to find all things crunchy! awesome giveaway from what sounds like a great new and unique store! I love that class list. Something like that would’ve been a huge help for us starting out on our parenting journey! Amazingly generous giveaway! You guys rock!!! ? What a great story! Wish I lived nearby! It’s my dream to open a store just like this! Best wishes and congrats! Awesome shop! Wish it was closer to where I lived! What a neat opportunity the store has! It’s so difficult to find natural baby stores… best wishes! Thanks for the awesome give away. I love your story. What a unique store concept! Love that it’s a small biz thats down to earth and fun! Thanks for sharing their story! Such a lovely story! So happy everything alhappened this way ?? Congratulations on starting your new adventure with your shop and your little one!! Such an exciting time … I wish you much success ? Great story and best wishes to them in the success of their business! I too wish I lived nearby so I could take advantage of a class or two and shop in store. I’m impressed I’d really like to live closer to take advantage of what the offer :) and support them in their endeavor. Wow! I’m impressed. Going to check out the website. Blessings for a wonderful endeavor. I love all the giveaways you do and all the info you share!!! I am impressed! What a hard working woman! Someone to look up to for sure!! Wow! These are some ambitious parents! They basically started their own business and opened up shop before their baby was even a year old! I think it’s so inspiring that they are working hard to fill a need in their lock community AND online for those of us not local! Awesome! another chance to win the bag, yea I’ll take it. really could use it for hubby being ill he is my baby now !! thanks for the second chance. Awesome and congrats! Also thanks for hosting this great giveaway! I got to say I’m super jealous of the Texans right now! Congrats on this awesome endeavor! I love stories like this! It’s very inspiring and gives mamas like me hope! Amazing family and story! SO proud of you and I especially love to see POC in the natural health store arena. Much success to you alll! This sounds like a great place! And congratulations on building such an awesome store with tons of support too!! So glad to see others get the opportunity to have a store like this in their community! Good luck! What an amazing story. Congrats on your store and love your spirit!!! ? Awesome, inspiring, best wishes to them! Congrats on the store! I wish you the best. You have a great concept. Wow! This store is amazing for offering many services. This will be a very good help for mothers and soon to be mothers. Good job lady’s keep up the amazing work. I love the message and support you send out. Wish I could visit the store I’ll have to check you guys out online. We have a quite small brick and mortar shop 45 minutes from me but it’s the process of closing down. I so wish we could keep it and add all the classes like these guys! I’m so glad more natural baby stores are popping up in the area! Crunchy Boutique sounds like a wonderful new company! Happy to see they have an online site, I’ll be checking them out, their products look really nice! They are amazing! I got to meet them today and see the store. Great place and great group of women. I would love to visit this store!! I will check out their online shop, though! I live in Idaho or I would come by! That’s awesome and I’ll have to definitely check out their online options. I love how many classes they offer. Impressive! Wow, I’m impressed she has done all that with a brand new baby! I know they carry one of my favorite diapers that is also owned by a black mom living in N. TX- Pooters Diapers. I hope her business is a thriving success! It’s so nice having another brick & mortar within 45 min. Of me! I didn’t know about this! It’s a great story. Thank you for sharing with us. What a terrific story! Love hearing about moms who step up and make things better for themselves and their communities. Way to go!!! I wish I had a brick and mortar store like this near me! There is one about 50 miles away but it’s more of a clothing store with just a few baby supplies. I am from Minnesota so visiting in person is not an option for me but I love what you are doing. My husband and I are into most things natural and we have found that the resources are very slim. We became parents October 2016 and we have been trying to soak up all the information possible. I wish this were closer to me! Fingers crossed I’ll win the diaper bag! It is definitely a brave thing to open a business in this economy. I love this story! We also didn’t have a Natural parenting store or Babywearing group locally when I had my oldest. 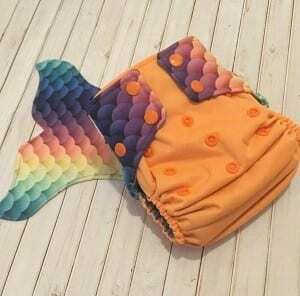 When I had my youngest we had/ have a wonderful cloth diaper/ natural store. 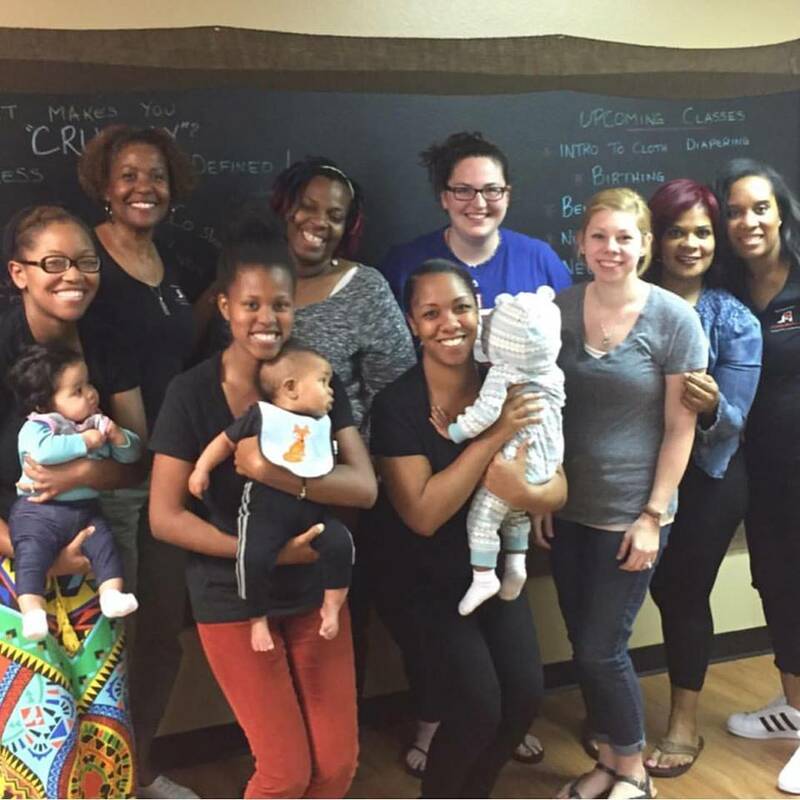 I enjoy seeing these types of classes/ groups for mothers, as they all don’t have the support/ knowledge needed. 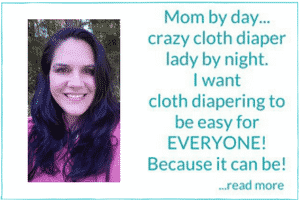 My husband, my Mother, MIL, +++all supported my breastfeeding/ babywearing/ cloth diapering. I know so many don’t have that. I wish Crunchy Boutique all the best in their future endeavors. Wow! How exciting! I’d love something like that near me here in Ontario, Canada. All the best to them and hoping I win the bag!!? Congratulations. Wonderful what you are doing. Sad that there was nothing around in your area but maybe it was for this very reason. Hope more people switch and start using the cloth diapers and going natural. Good luck! This sounds like exactly the store I’m craving here! Congratulations to this family for helping others! I would love to visit one day when we drive through Arlington! I hope I can! i wish i had a store like this near me! that sound amazing! The range of class options they offer is amazing! I wish I lived closer! They should Facebook live stream their classes!